Hundreds are contacting Congress — Will You? Let’s Reach 1,000 by Tomorrow! 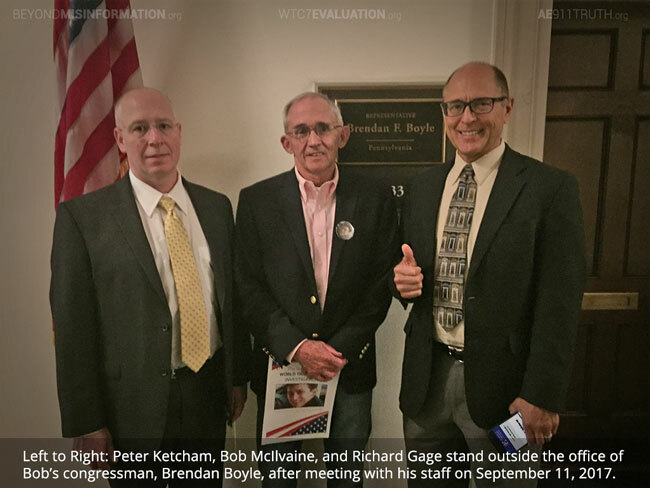 Friends, our campaign for the Bobby McIlvaine World Trade Center Investigation Act has now been officially launched! On September 11, 2017, dozens of dedicated activists gathered at the National Press Club to kick off the effort. 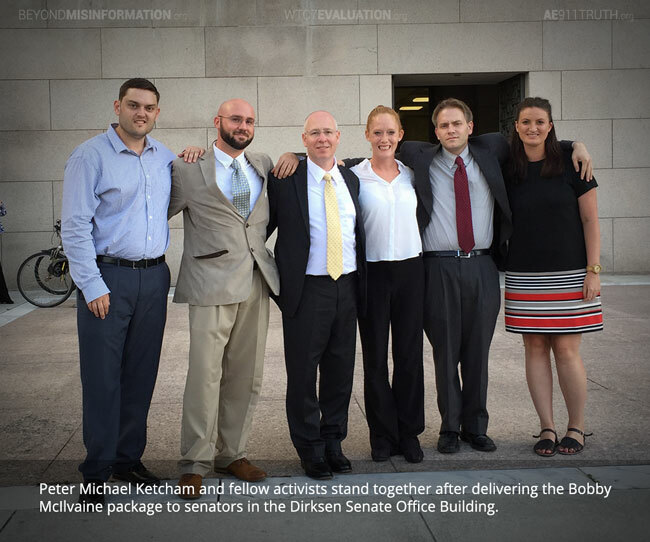 We then headed down to the Capitol, where we hand-delivered the Bobby McIlvaine package to every member of Congress in the waning hours of the afternoon and the following day. It was a grueling but inspiring two days! On top of that, more than 600 supporters from across the U.S. have contacted their representatives and senators, urging them to sponsor the Act. From that outreach, a total of 354 out of 535 members of Congress have received at least one email! Indeed, when we were going office to office, several aides told us they had been contacted about the legislation and were pleased to be receiving it in person. On September 11th, we set a goal of having 1,000 people contact their legislators this week. With a day and a half to go, we can still reach that number! 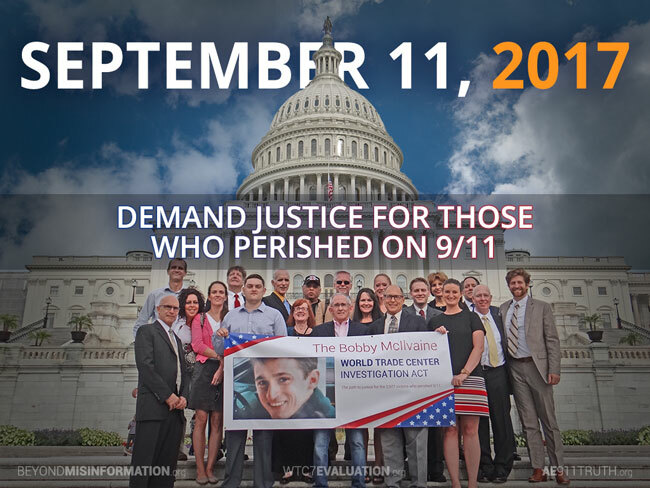 Please take two minutes today to visit the Bobby McIlvaine Act page and send the pre-written email to your members of Congress. Now is the most important time to take this action because their staff are reviewing our package right now. A strong showing of public support could make the difference in getting one or more legislators to introduce the Act. 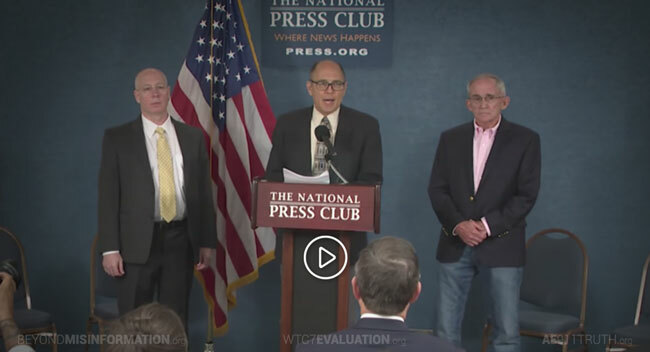 We also invite you watch the video of the September 11th news conference, which you will find at the bottom of the Bobby McIlvaine Act page. We would like to thank the dozens of activists who joined us in Washington, D.C., the hundreds who’ve written their members of Congress, and the hundreds of thousands who’ve contributed to this fight over the years. We’re now in a critical window where the passage of time has made the public more open-minded than ever and yet 9/11 is recent enough that uncovering the truth would still massively alter the trajectory of our country and the world. We must fight harder than ever during this critical window. 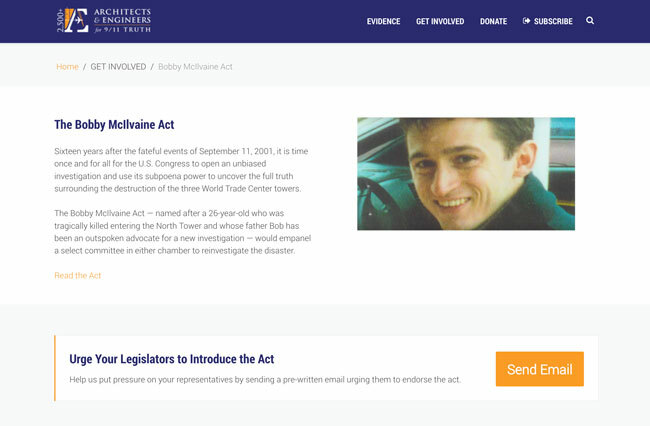 In time, the Bobby McIlvaine Act will gain traction and, with the right catalyst, could lead to the investigation we’ve all been working for.